Quartet Tzigane performed on Show 249 in March 2012. Quartet Tzigane is based in Minnesota and coached by Thomas Rosenberg. 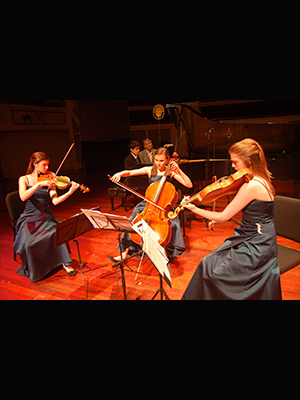 The quartet is comprised of 15-year-old violist Sloane Wesloh from Stillwater and 15-year-old violinist Graydon Tope, 13-year-old cellist Parker Tope, and 13-year-old pianist Evren Ozel from Minneapolis. The quartet won first place in the Saint Paul Chamber Orchestra Youth Chamber Music Competition and received an honorable mention in the open division of the Discover National Chamber Music Competition last month.